The omnibus job growth and energy affordability policy and finance bill would distribute $380 million to agencies and programs concerned with economic development, power generation and workforce housing in Minnesota, while shaking up the way government acts in those and other areas. The House passed HF2209/SF1937*, as amended to include House language, 76-55 Thursday. It now returns to the Senate for concurrence. The Senate, where Sen. Jeremy Miller (R-Winona) is the sponsor, passed their version 58-9 March 29. It likely will be left to a conference committee to try to meld the two versions into one. “It’s not about bigger government, but better government,” Rep. Pat Garofalo (R-Farmington), the House sponsor, said at a news conference just before the Floor debate. He said the omnibus bill finds efficiencies and embraces new technologies that, on the energy side, avoid what he called a “false tradeoff” between pollution and cheap energy versus clean environment and costly power. 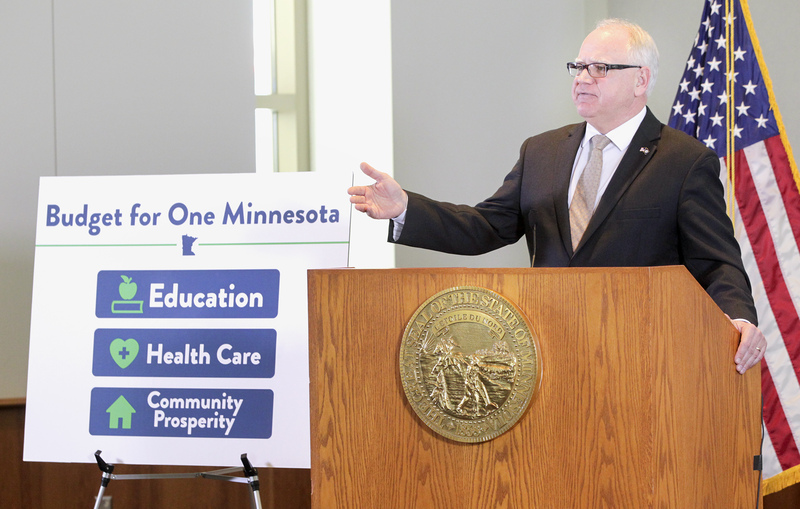 At a news conference, House Minority Leader Melissa Hortman (DFL-Brooklyn Park) called the proposal a “jobless jobs bill.” Voting on the bill presents a “Sophie’s choice,” said Rep. Tim Mahoney (DFL-St. Paul), explaining that he likes parts of the bill, but hopes Gov. Mark Dayton would veto the bill in its current form. Among the bill’s provisions are the revamping of several programs, from workforce housing to renewable energy. 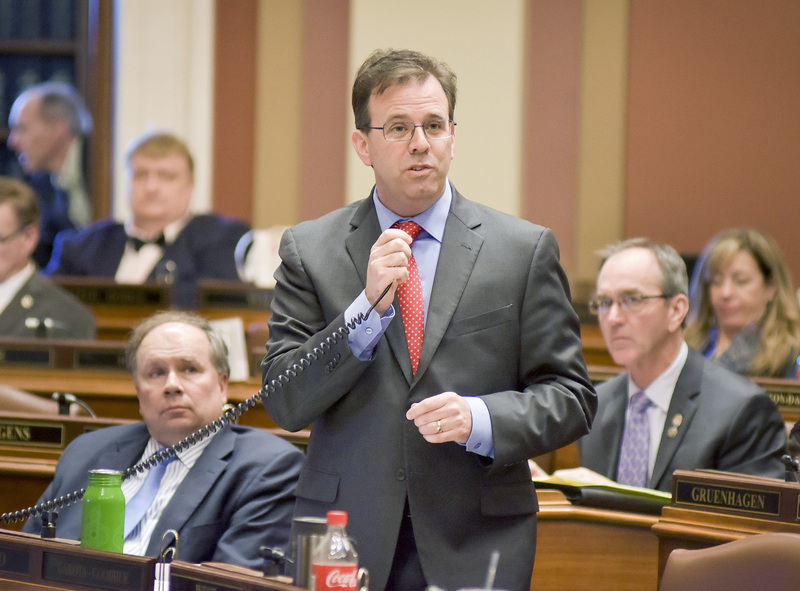 For example, the bill would move the Department of Employment and Economic Development’s workforce housing program to the Minnesota Housing Finance Agency. But the bill contains funding for the program only in Fiscal Year 2018; money for the next fiscal year would require new legislation. The same is true for the agency’s Challenge program. The bill would bring to an end the Made in Minnesota solar energy rebate program, transferring its dollars to a new energy fund that would also get funds currently held in the Renewable Development Account. “We can do more solar and cheaper,” said Rep. Marion O'Neill (R-Maple Lake). Also included is a restructuring of the Iron Range Resources and Rehabilitation Board, in response to a 2016 Office of the Legislative Auditor report, which found the current setup vulnerable to separation-of-powers constitutional challenge. The executive branch board, consisting of five House members and four senators, would be converted to a legislative commission with advisory powers. In appropriations from the General Fund, the Department of Employment and Economic Development would see its two-year budget increase by $5.7 million to $178.2 million. 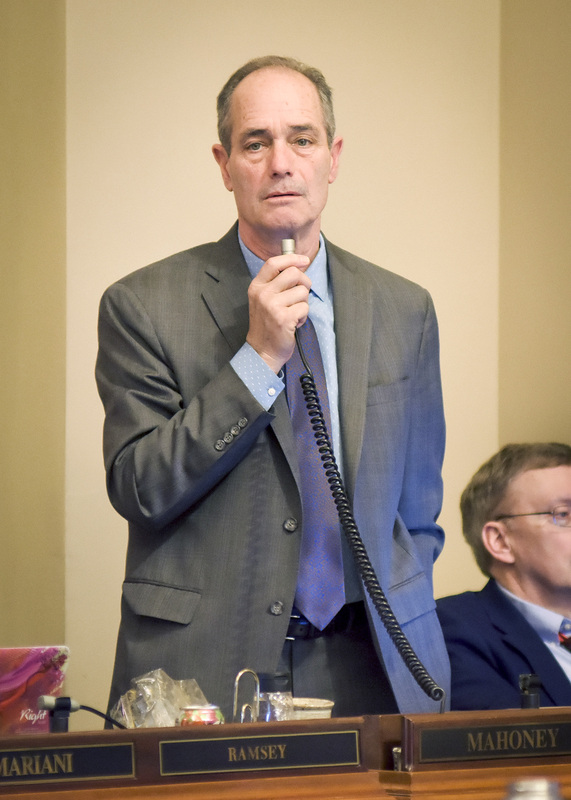 For the Minnesota Housing Finance Agency, the 2018-19 biennium would be leaner than the current base as General Fund appropriations would fall by $4.93 million to $96.7 million. The Department of Commerce would also get less money, taking a $678,000 hit when compared to the current base, for a two-year total of $53.9 million. The General Fund cut to the Public Utilities Commission would be of a similar size: $658,000. The agency would have $14.3 million to get through the next biennium. General Fund appropriations would increase by $650,000 for the biennium at the Department of Labor and Industry to put the agency over the $3 million mark, to $3.1 million. 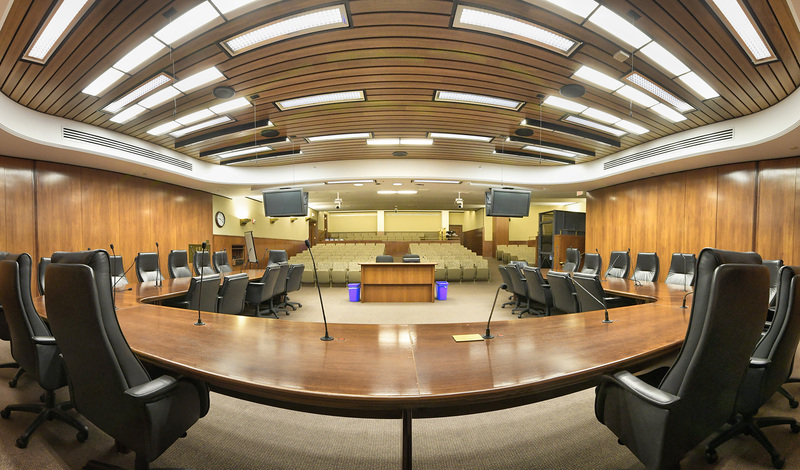 The bill would limit the number of full-time equivalent positions at each of the above agencies except the Minnesota Housing Finance Agency, as well as at the Bureau of Mediation Services and the Workers Compensation Court of Appeals. 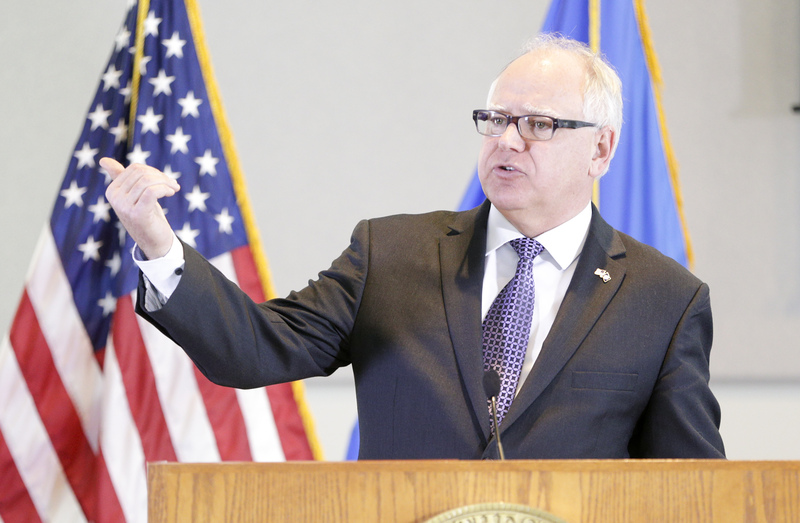 The Minnesota Housing Finance Agency would have a cap on its administrative costs at Fiscal Year 2017 levels until July 1, 2021. Other smaller agencies and authorities are also funded, including the IRRRB, Public Facilities Authority and the Destination Medical Center in Rochester. Two agencies would see a thinning of their top ranks. At the Employment and Economic Development and Commerce departments, the number of deputy commissioners would fall from four to one. There would be slightly less for DEED deputies or others to do because the bill would grant the department a “holiday” from mandated reports due in Fiscal Years 2018 and 2019. Of the 10 offered amendments, seven were adopted, two were withdrawn and one failed. Three amendments augmented a provision in the bill – said to be a first nationally among state legislatures – that would prohibit internet service providers from collecting personal data on a customer’s internet use without the customer’s permission. If data privacy was an easy call for both sides, an amendment offered by Garofalo that would let the proposed Enbridge pipeline project bypass the Public Utilities Commission revealed deep divisions. After a two-hour debate, the amendment was adopted 75-57. Divisions were also on view during a debate over a climate-change amendment offered by Rep. Frank Hornstein (DFL-Mpls) to an amendment offered Rep. Jennifer Schultz (DFL-Duluth), which would add the costs of air and water pollution to the factors the Public Utilities Commission considers in evaluating proposals. Hornstein’s amendment was ruled out of order; Schultz’s was adopted 71-59. On several occasions, members acknowledged protesters. At the outset of the debate, several members mentioned a loud demonstration against the Enbridge pipeline taking place inside the Capitol. Later, during a procedural debate about a climate-change amendment, loud voices from visitors in the House Gallery prompted Rep. Greg Davids (R-Preston), from the Speaker’s dais, to ask the Sergeant-At-Arms to remove the persons. prohibiting municipal ordinances banning stores from using certain types of bags, such as plastic.